« E-mail: Should it be in-house or a cloud service? On Feb 3, 2011 the last remaining blocks of Internet IP (IPv4) Addresses were handed out by IANA (the global authority overseeing all IP address allocation) to the 5 regional organizations designated for maintaining IP addresses in various regions throughout the world. There are no more IPv4 address blocks. An “IP” is a number that is assigned to each device (e.g., server, PC, router, firewall, etc.) in your network and uniquely identifies that device. They are also used to uniquely identify such items as websites, databases, etc. You can sort of equate an IP address to your social security number. Whereas your social security number uniquely identifies and tracks you, IP addresses do the same for networks and computer equipment. An example of an IPv4 address is 69.84.36.113 which is the IPv4 address uniquely identified with www.hcd.net. An example of an IPv6 address is 2001:4860:8006::63 (this one uniquely identifies ipv6.google.com). Of the last remaining blocks of IPv4 addresses handed out by IANA, ARIN, the regional organization responsible for IPs in the United States, has only approximately 15% of its IPv4 addresses left as of Jan, 12, 2012. The solution to the depletion of the IPv4 addresses is the implementation of IPv6 addresses within all businesses in order to maintain full connectivity with the Internet. 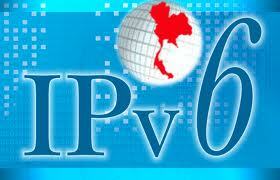 IPv4 and IPv6 both represent Internet Addresses, with IPv6 simply being the newer version. The primary reason it is necessary to ultimately migrate to IPv6 is that as time progresses, more and more websites, e-mail servers, etc. will only be accessible via IPv6 addresses due to the complete depletion of the IPv4 addresses. It is important to note it is not an “if IPv4 runs out”, but a “when IPv4 runs out”. Estimates vary, but range from as early as this year (2012) to possibly mid next year by ARIN’s estimate. The current, soon to be depleted, IPv4 address scheme supports 4.3 billion IP addresses. The new IPv6 address scheme supports 340 undecillion IP addresses (that is 340 trillion trillion trillion IP addresses). IPv4 uses a 32-bit number whereas IPv6 uses a 128-bit number which is how it achieves the virtually unlimited number of IPs. So why are we running out of IPv4 addresses, because 4.3 billion sounds like a lot? It is because the growth of the Internet and technology in general. There are more and more devices on the planet and they are growing at a dramatic rate and they each need an IP address. For example, did you know your mobile phone and cable boxes have IP addresses? Now even many TVs also have IP addresses and can be hooked directly to the Internet. These are just a few examples of the many devices requiring IPs and it will just continue to grow and grow. While it may be tempting to ignore it until it becomes a problem, the repercussion of doing nothing is that as more and more IPv6 is implemented you will begin to have problems reaching websites, getting e-mail through, etc. and this is the last thing any business needs. The earlier IPv6 is adopted the better. Depending on the age of equipment and software at a particular organization there are potential upgrades required to support IPv6. Additionally, even if IPv6 is supported by your hardware and software, the implementation procedure for IPv6 is not an “overnight” process and requires well-planned implementation and testing. If you would like more information on this subject please feel free to give Tracey Hershey a call at (330) 493-9700 or e-mail at thershey@hcd.net.